That as many as 40% of eligible voters may not vote in this election upsets Andrew Coyne and is a favorite theme of those who like to worry about the state of our democracy. I don’t go so far as Coyne’s straw man who thinks low turnout is ‘actually a sign of the ruddy health of our democracy.’ But I do think that ‘research’ that purports to explain why people don’t vote is shaky. Survey subjects are put on the spot, asked to excuse their imputed failure in civic responsibility, and come up with excuses. Most of what they say is encouraged by Coyne himself. He thinks the parties are pretty much the same and politicians say a lot that is untrue. Whether our votes will change anything? I’ll come to that in a moment. Most of the people I know are interested in politics and likely to vote. Sadly, they will mostly vote wrong, but I try to set them right. The one person I know who I am sure will not vote is bright and curious and interested in big things like the environment and wars and our diverse identities but doesn’t give much thought to taxes and trade and the economy and daycare and I’m not going to try, impertinently and boringly, to change that. I'm not going to tell anyone to vote. I've already written that conservatives should vote Conservative and socialists vote NDP. The rest of you will do what you think best. If you’re reading this column, you’re likely to vote. Of those who aren’t interested in politics, I think none the less. Unlike the totalitarian democrats I would not force them to interest themselves in matters that don’t interest them, to choose where they are indifferent. I would have them represented truthfully, as not interested, rather than dragooned to the polls to choose frivolously or randomly or spoil their ballots or vote as the bien pensants tell them to. Coyne’s remedies for low turnout, apart from forcing us to vote, which he kindly doesn’t press as it is, he says, ‘a concept requiring more space to explain than I have.’ - What can he mean? - confirm the confusion underlying the turnout fret. ‘Tone down the vitriol.’ He thinks attack ads discourage people from voting. Attack ads are not designed to get people to stay home. They are addressed to those who will likely vote and designed to steer voters from one choice to another. And what about toning down the unction? While politicians are dissing their opponents they are just as much trumpeting their compassion and concern to help us all, at least that vast majority who think we are ‘middle class,’ and seem to be running for sainthood as much as public office. The real problem is the hype. But that is a matter of our political culture, to which, as Coyne will admit, the media contribute as much as politicians. Whatever politicians say that is dishonest they do to get votes. Not to put people off politics. ‘Punish political lies.’ Coyne doesn’t take the space to explain how this would work, but the only way it could would be by involving the courts and thus taking politics out of the hands of the voters. It is for the voters to punish political lies. Too often they don’t. Perhaps because they know in their hearts that they were complicit in the lies. That they voted for what they wanted to hear and would have shunned anyone who spoke the unvarnished truth. 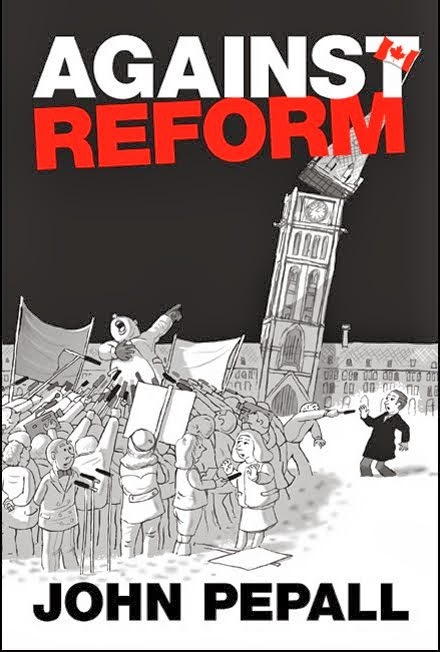 Finally, ‘fix the electoral system.’ By which Coyne means, adopt some scheme of proportional representation by which voting would no longer be a means by which the voters can make decisions and become a opinion sample to be exploited by parties beyond the control of the voters. There is no evidence that proportional representation encourages turnout. Many countries with PR have higher turnouts, but this can be explained by many things. Most have their elections on Sundays. What commonly results from PR is that elections don’t ‘change anything.’ The same parties are in power for decades or, as often in Germany, the the main parties that fought the election form a ‘grand coalition’ and what appeared to be a choice of who should govern becomes a matter of both must govern. 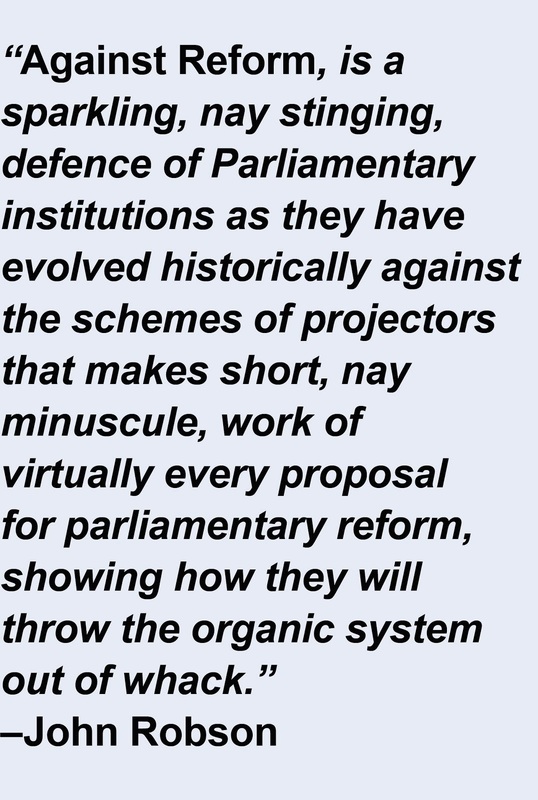 I have written at length on the folly of ‘electoral reform’ and there really isn’t space to explain it here. But in a nutshell it is the idea that where there are more than two choices and none may get a majority there is some way of getting a majority by preferential voting or proportionality. There isn’t. It’s mathematically impossible, as Nobel Prize winner Kenneth Arrow explained, and the consequences of trying are elections that don’t ‘change anything’ and disproportionate power for minorities. But on October 19 upwards of 60% of Canadians, however distracted by the noise of politicians and the media, will make a decision. Unfortunately, Andrew Coyne and the opposition parties want it to be the last time they will.